I’m missing sailing very much at the moment and can’t wait until we head off for another couple of weeks next month. I’m stuck in the flat while the humans go to work and since only boring cats get bored, I occupy myself with all my tiger toys! 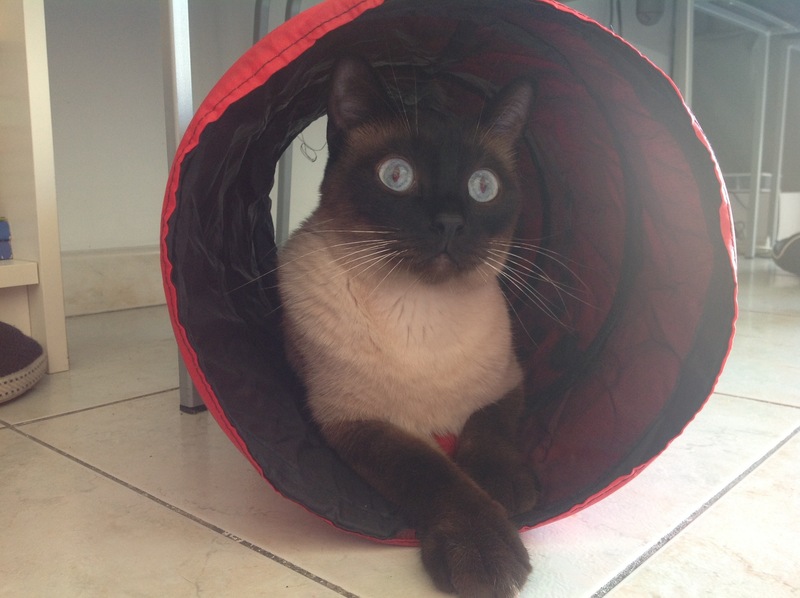 The trouble is, sometimes I can get a bit carried away, and I accidentally broke my tunnel. The humans tried to fix it a couple of times but the wire kept popping back out as I played with it. They were worried I would hurt myself and maybe poke myself in my eye. Obviously I’m not that silly, but they said that my eyesight is far too important to take a risk. 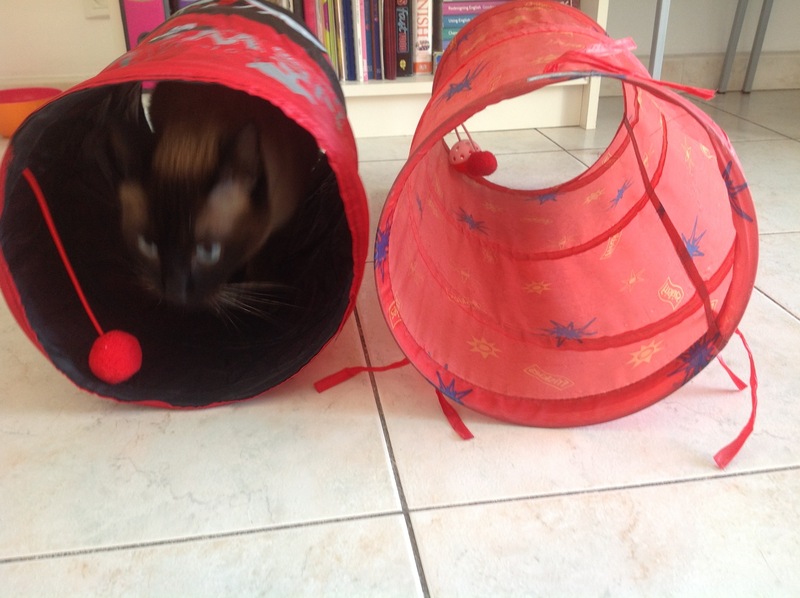 So today I’m very lucky to have a brand new tunnel and it even makes a rustling noise! It looks so good next to my old one which is now going to be retired! I love the new tunnel. I think it looks much more grown up. The rustle noises are pawesome too! Obviously it doesn’t compare to sailing but it’s fun to play with while I wait for the humans to get organised! « Dinghy devil you’ve gone too far this time! Maybe you could take your tunnel on the Nocturne! Then you would have the best of both worlds! 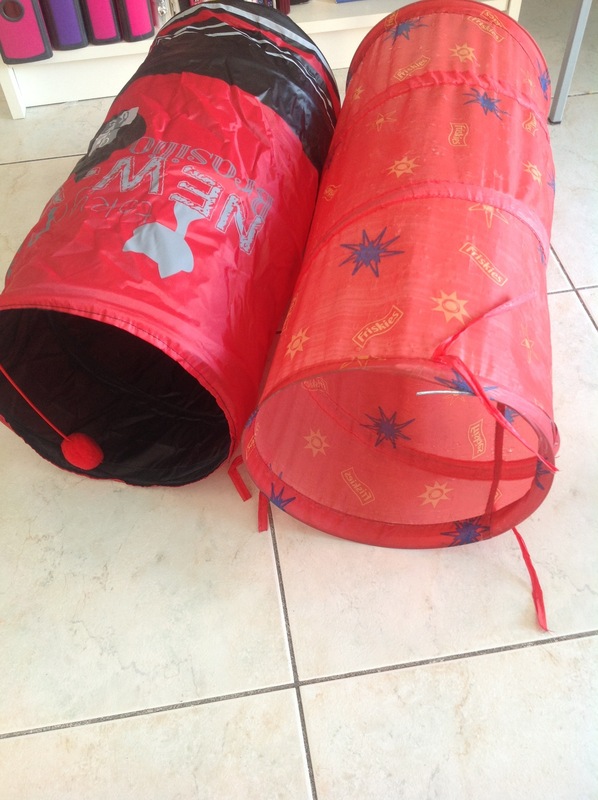 Your new tunnel looks super and has a better lining – you’ll be able to hide from the sun should you need to! Pawsome tunnel Bailey! I love stuff that makes noises…..I bet that tunnel is tons more fun than your old one…………ENJOY! Bailey! 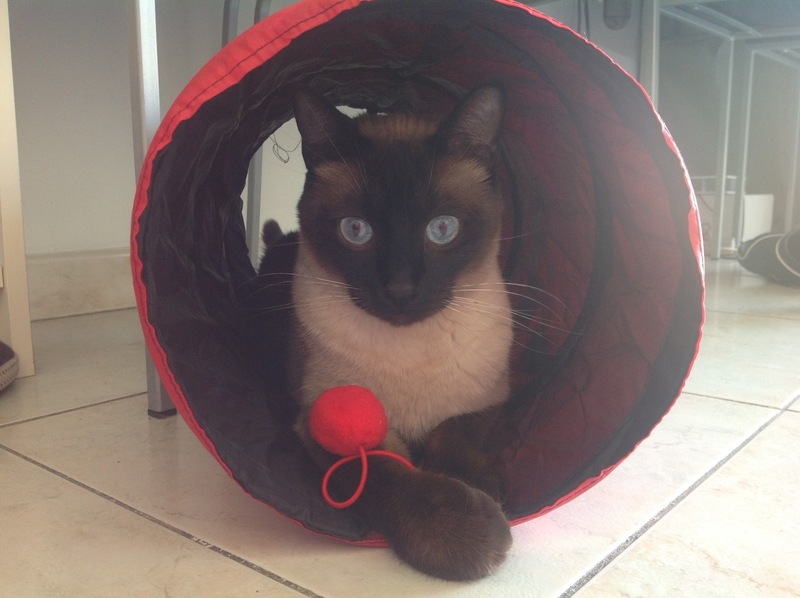 Teddy is jealous of your new tunnel! You look like such a little stud hanging out in there. 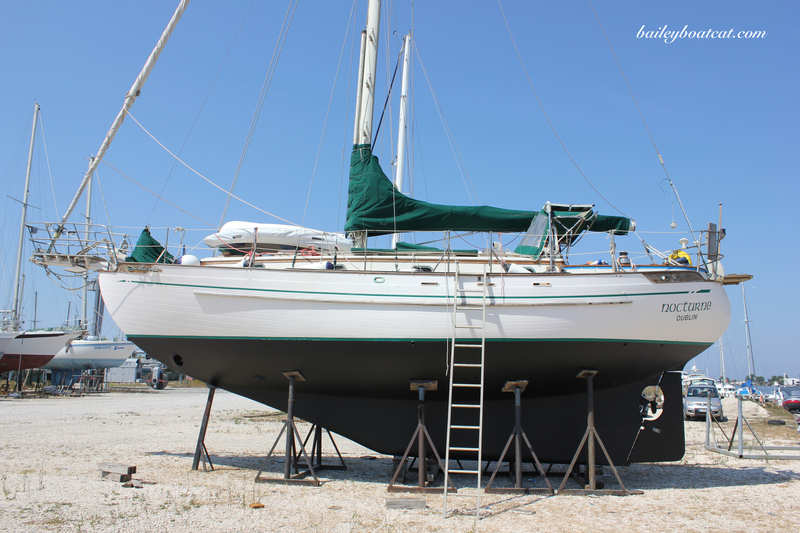 You’ll be back to sailing in no time if your new toy keeps you preoccupied! A new toy: how fun! Awesome new tunnel, Bailey! Doesn’t compare to being on a boat, but I’m sure it will do for now. 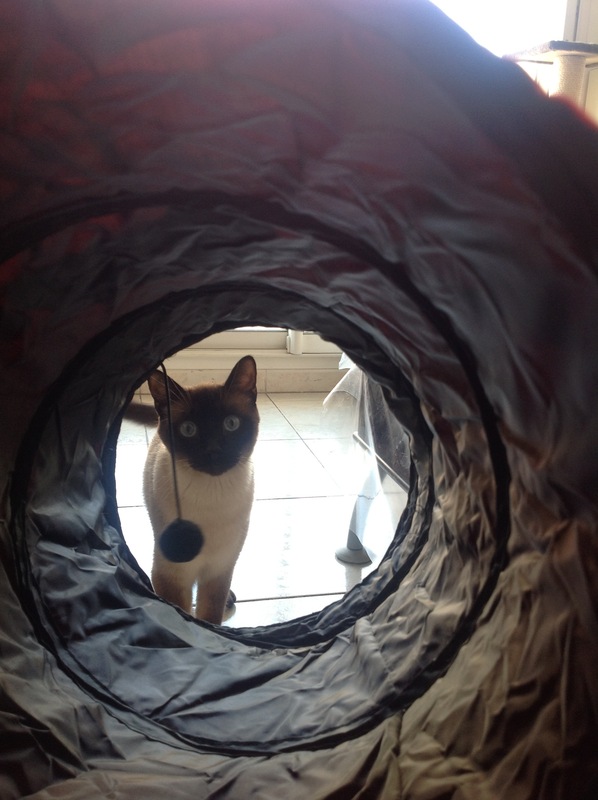 Oh that’s a pawsome tunnel. Super fun and maybe a little scary sometimes. Nice tunnel, Bailey, wish I had one of those to hide in! And here I thought our cat had an interesting life! Very cool blog. Lubly new tunnel dere Bailey!!! Yer Hu’manz are wise to wurry about ya hertin yerself wif a poke in da eye or sumfing else not guud!!! Maybee you cuud hang out wif da turtlez while yer Pawentz are werkin? !